In this week's Abundance Insider: Mood-altering brain implants, origami skeletons for soft robots, and the most realistic prosthetic hand yet. What it is: A research team lead by the Chinese University of Hong King has created yet another means of delivering biocompatible microrobotics into hard-to-reach places of the human body. By coating spirulina algae with biodegradable magnetite nanoparticles, the team (which started this research with rats) proved that they can deliver the microbots via a magnetiic field, and image them through either the algae's natural bioluminescence or an MRI. Applications include improved diagnostics and targeted drug delivery, such as by embedding a cancer drug into the algae and releasing it as the magnetite degrades. Why it's important: As we learn to create ever more biocompatible materials and methods of controlling them in vivo, look for recovery rates and diagnostics to improve dramtically, saving lives and extending the healthy human life span. What it is: DARPA is funding two teams working on closed-loop brain implants that identify and treat mood disorders like depression and post traumatic stress disorder. Deep brain stimulation is already used for conditions like Parkinson's, but these implants are the first to target mental illness, and only activate when needed. Why it's important: Technology that intermittently stimulates the brain could help veterans work through PTSD without antidepressants or anti-anxiety medication. This also opens up ethical questions: for example, what moral obligations do we have when manipulating people's feelings? What it is: Due to their ability to grasp different types of objects and improve safety, soft robots are growing exponentially, with new materials and designs emerging and combine with one another. Unfortunately, one of the challenges to date as been their strength. 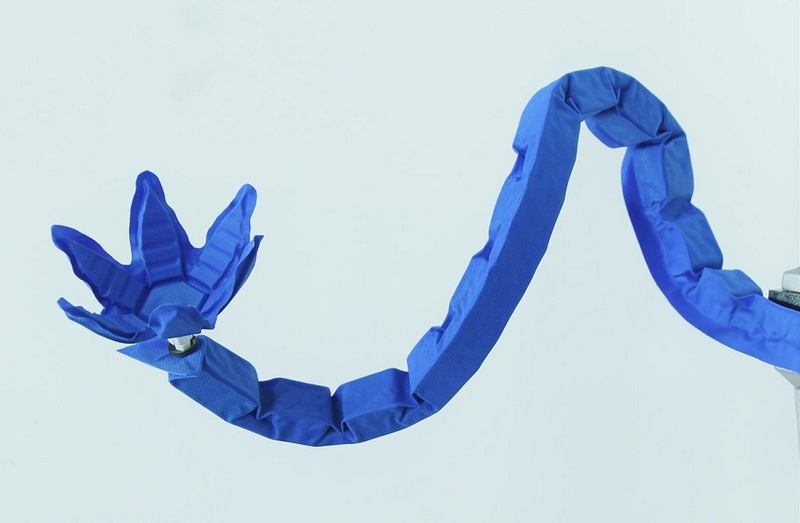 Now, teams from MIT’s CSAIL and Harvard have given soft robots a kind of origami skeleton, focusing the robot's strength in a particular dimension, and in some cases giving robots the power to lift as much as 1,000 times their weight. Skeletons can be combined, like human joints, allowing soft robots to do things like grab a tire while lifting it vertically or rotating. Why it's important: Look for novel combinations of skeletons and materials to emerge, leading to an increasingly diverse robotics universe and a tremendous number of new use cases, from manufacturing to our homes and in everyday life. What it is: Brain-controlled prosthetics have advanced considerably, but actually feeling and sensing from such a device has been a challenge, particularly at high resolution. The resulting feeling of disconnection leads some 50 percent of patients to abandon their prosthetics entirely. 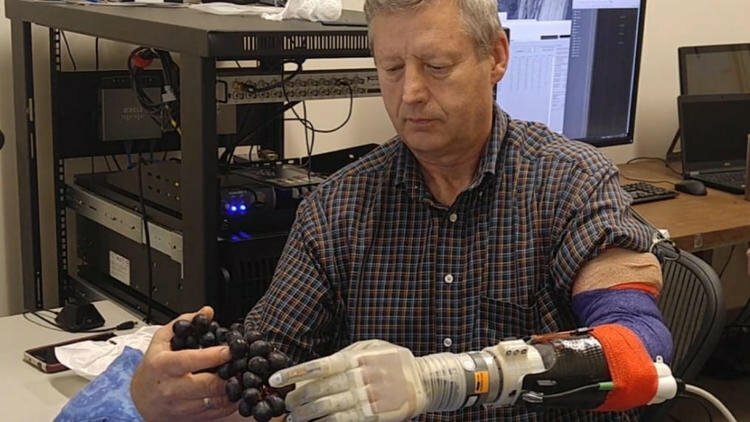 Powered by ever-smaller sensors, Jacob George and his team at the University of Utah have taken a big step to restoring the sense of touch. By implanting two microarrays, the first into residual nerves and the second into the muscles themselves, the team was able to stimulate and map each of the 192 electrodes to over 100 specific sensations, such as pressure or vibration and at varying intensities. Patients were thrilled to do things as simple as grasp their hands together, but dexterity with objects like grapes or eggs also improved. Why it's important: As we continue to make sensors smaller and more powerful, look for dramatic improvements in our ability to restore patients' sense of self. Also look for the mapping required here to accelerate BCI technologies more broadly, ushering in more augmented rather than restorative capabilities. What it is: Shell has recently signed an agreement with Ionity -- a joint venture between BMW, Daimler, Ford and Volkswagen -- to build charging stations in 10 European countries. This builds on Shell's acquisition of NewMotion, Europe's largest electric vehicle charging provider, last month. 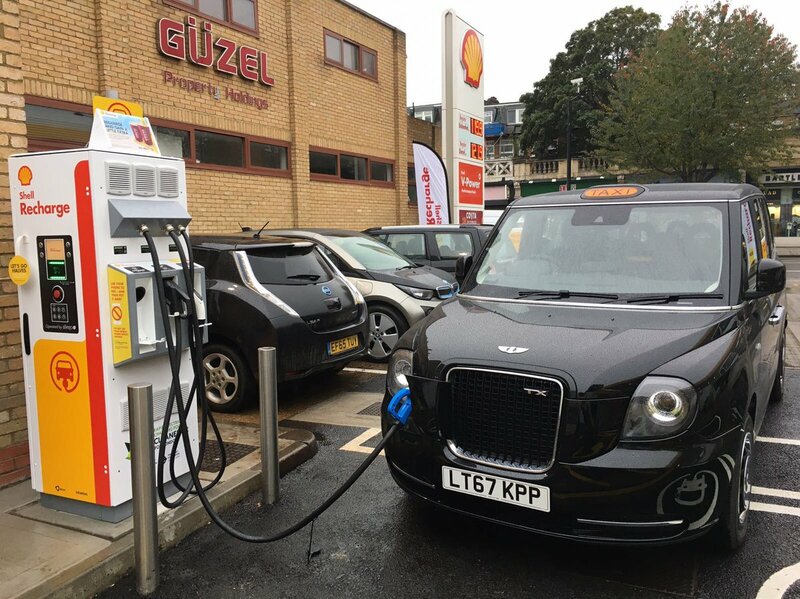 "Shell and IONITY will initially have charging points at 80 of Shell’s biggest highway fuel stations, with an average of six posts in each," writes Bloomberg. "It will take five to eight minutes on average to charge an electric vehicle at these points." Why it's important: Here's how one oil company is preparing for a future without fossil fuels. As more automakers commit to clean energy vehicles and move away from internal combustion engines, the oil industry must be ready to pivot -- and pivot fast. What it is: In this article, Singularity Hub features the work of startups and researchers focusing on reactive content -- immersive storytelling that uses artificial intelligence to evaluate the viewer's energy and dynamically change the plot or delivery in response. Future Lighthouse, for example, uses biometric feedback like breathing, heartbeat and eye-tracking sensors to determine the viewer's attention and engagement with the content. Why it's important: Humans evolved to be storytellers -- and now, technology gives us a way to connect even deeper to our audiences. Imagine a movie character calling out a viewer for not paying attention, or soundtracks that perfectly complement a viewer's mood as they watch a scene. Such personalization connects viewers to creators in an entirely novel fashion.